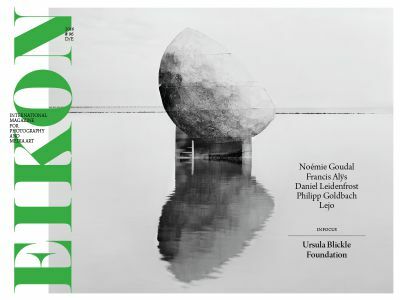 What began with a presentation of the Dutch painter Guusje van Noorden in Kraichtal in the German state of Baden-Württemberg in 1991 could now possibly end with the show Non-finito (organized by a curatorial team of six and based on an essay by Wolfgang Ullrich): the Ursula Blickle Foundation’s more than twenty-five years of exhibiting contemporary art. Possibly—because, for one, the title of the show (on view until December 11) already raises doubts about the foundation’s intent. Moreover, it is hard to believe that Non-finito should mark the end of an era. Founder Ursula Blickle can look back on a comprehensive and sophisticated program of altogether 95 projects, including solo exhibitions of internationally renowned artists such as Gerhard Vormwald (1992), Jack Pierson (1996), Günther Förg (1998), Cosima von Bonin (2000), Anna Jermolaewa (2002), Bruce Conner (2010), Stéphane Couturier (2010), Plamen Dejanoff (2014), and Tobias Zielony (2014) as well as numerous thematic group shows. From the very beginning, Blickle has been particularly interested in video-based art, which nowadays is undoubtedly widely accepted but still had to fight for its rightful place in the art world at the time the foundation was established. Inspired by its patron’s predilections, the attention given to video art extended far beyond Kraichtal: The Ursula Blickle Video Archive at the 21er Haus in Vienna or the Blickle Raum at Spiegelgasse have generated quite a buzz with their series and events. congratulations and well-wishes by Blickle’s long-term companions for her journey ahead, which will hopefully continue ad infinitum in some other form.